January 1, 2009. 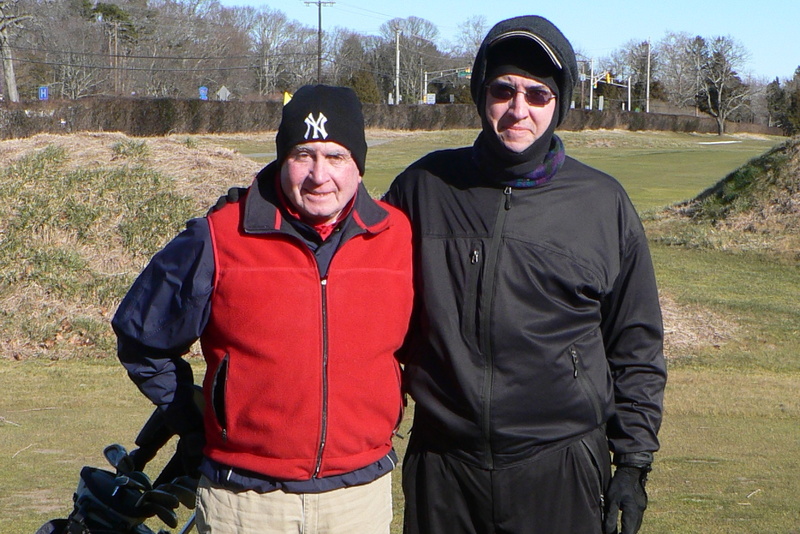 Hacker (real name) and David Owen, Bay Course, Absecon, New Jersey. 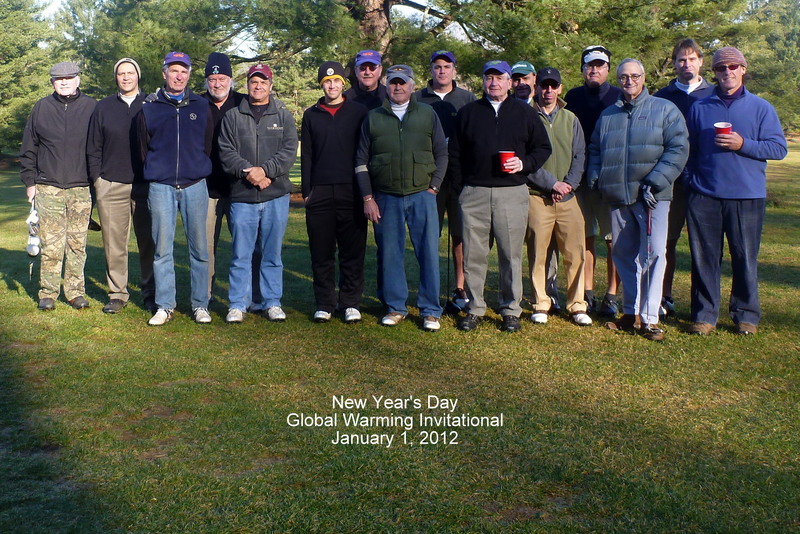 David Owen, fourth from the right; Hacker (real name), seventh from the right, holding beer. This entry was posted in Buddies Trips, Games, Golf Courses, Hacker (real name), Sunday Morning Group and tagged Atlantic City, Bay Course, Dyker Beach, Pelham Bay, Seaview by David Owen. Bookmark the permalink.